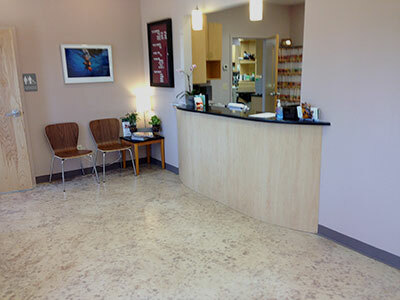 Veterinary & Animal Care Flooring facilities require seamless, non-porous polymer floor coating and resurfacing systems with integral cove base that are highly resistant to animal waste, odor absorption, and staining from uric acid, alkalis, as well as aggressive cleaners & sanitizers. These polymer coatings must balance floor maintenance with varied non-slip resistance as an overly aggressive finish could be injurious to the animals’ pads, and adverse to the hygiene & sanitation of the flooring itself. Like any other medical facility, these are no exception with regards to maintaining very high standards for cleanliness and pathogen control. Our Micobe◊BLOK antimicrobial treatment can help with pathogen control by reducing up to 99.9% of bacteria on the surface of the floor. Hard-wearing & durable, these seamless, non-porous systems must also provide abrasion, scratch, and puncture resistance to the high traffic and movement of people, animals with claws, mobile equipment, and wheeled carts. High-performance flooring solutions are carefully designed using a wide array of standard or custom colors, blends, patterns, and textures. 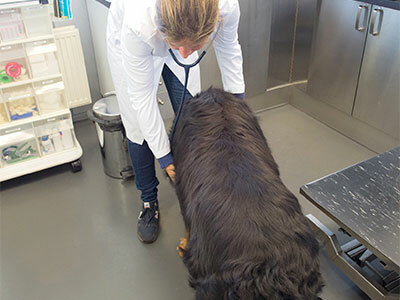 Veterinary operating & exam rooms must meet very strict hygiene and sanitation standards. Seamless, non-porous polymer flooring systems with integral cove base are engineered for optimizing CLEANLINESS and ease of maintenance. Integrate a film treatment like Microbe◊BLOK and ensure added protection against the growth and spread of harmful pathogens. Like all of our other clinical care flooring systems, these are highly durable, long-lasting, with excellent, chemical, stain, abrasion, impact, and varied non-slip resistance. ProREZ also offers low odor, faster curing materials for quicker return to service. Aesthetics and performance are carefully designed in each and every system we install. Office, reception, and waiting areas in animal care facilities need to integrate aesthetics and high functionality. The floor areas need to be hard-wearing, durable and long-lasting, with excellent, chemical, stain, odor, abrasion, impact, and scratch resistance. Seamless and non-porous, these non-absorptive polymer flooring systems have to be easy to clean and maintain, safe & sanitary, with reduced life cycle costs when compared to other conventional flooring products. Aesthetically, the flooring systems need to offer decorative appeal, fresh, soothing, and welcoming for staff, patients and their owners. ProREZ has a plethora of standard and custom designs to complement any décor or theme. Animal care and boarding kennels continue to grow as more & more families require short-term shelter and assistance with their animals in facilities like daycares, grooming spas, training centers, pet resorts, etc. These facilities need to be clean, safe, and comfortably designed from the FLOOR and above. Given the exposures to harsh cleaning & sanitizing agents, as well as animal waste, excellent chemical and stain resistance are a must as is a protective finish that’s highly resistant to odor absorption. These floors must be reliable, hard-wearing, long-lasting, and easy to clean & maintain. 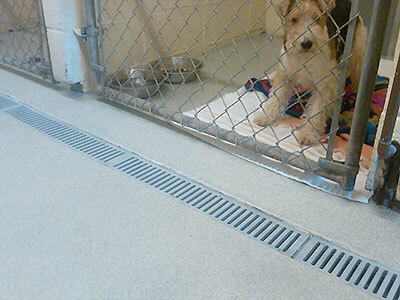 At ProREZ, it is our business to provide high-performance, seamless & non-porous flooring, wall, and cove base solutions for any area of the kennel or boarding facility that’s aesthetically designed using a wide array of standard or custom colors, blends, patterns, and textures.